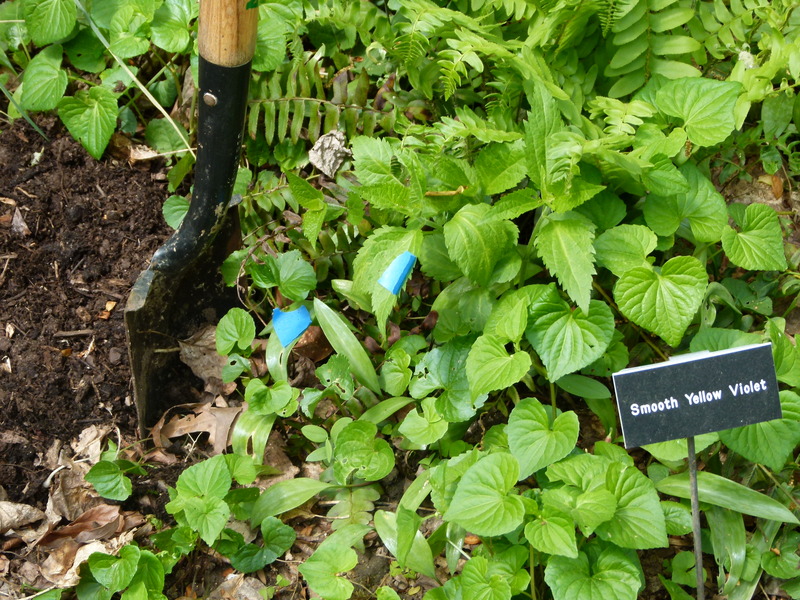 Digging native plants. Photo by S. Dingwell. What could be better than to spend a beautiful spring day in the woods doing something you love to do? For several weeks, ARMN volunteers came together at Long Branch Nature Center to help them get ready for their Native Plant Sale Day. Workdays like this one not only provide opportunities to give something worthwhile to the greater community, but they also give volunteers the chance to connect with each other in low stress ways, and to share knowledge with each other. I am always both interested, and heartened, to hear the incredible variety of reasons that drew people to the Master Naturalist program. And the learning part is like reading historical fiction. Because it’s part of a story, it’s fun! Redbud (Cersis canadensis). Photo by S. Dingwell. Take a redbud tree for instance. 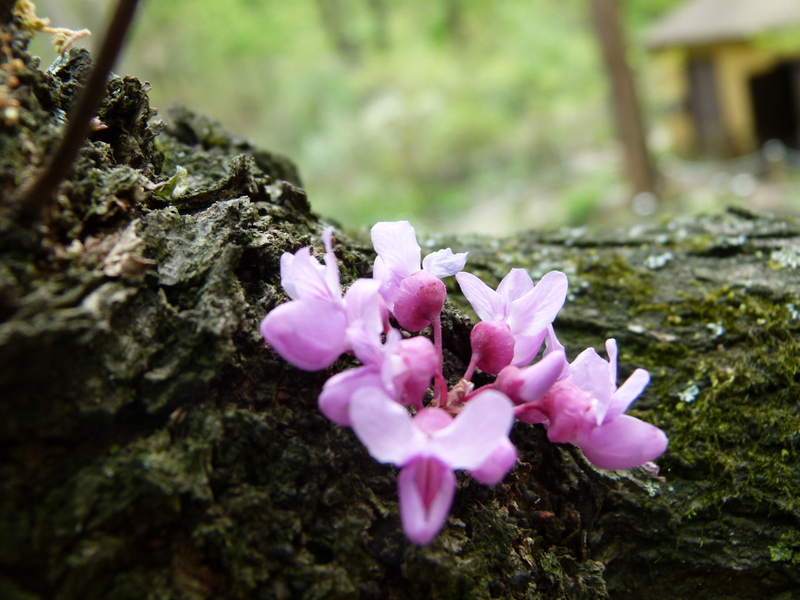 I can ID a redbud tree from a mile away, but I had never in all my life gotten close enough to one bloom to realize the flowers are cauliflorous! I didn’t make that up, by the way. “Cauliflorous” is just a fancy way of saying that the flowers emerge directly form the trunk or branch. Try that on one of your neighbors! Geranium (Geranium maculata). Photo by S. Dingwell. 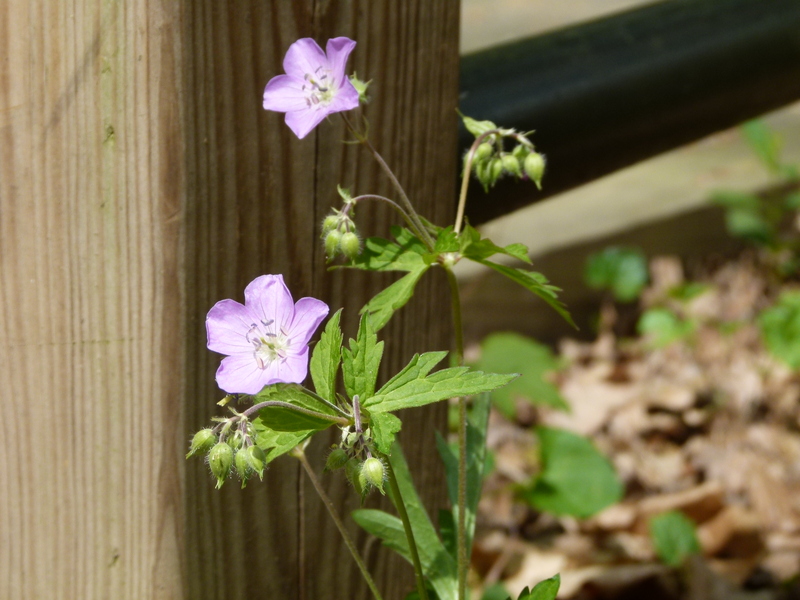 Along the many walkways and bike paths in our local area, these two little beauties have been in prolific bloom recently. I was absolutely thrilled to learn that they were both natives, and not, like lesser celandine, Ficaria verna, and so many others also in bloom, from Eurasia. 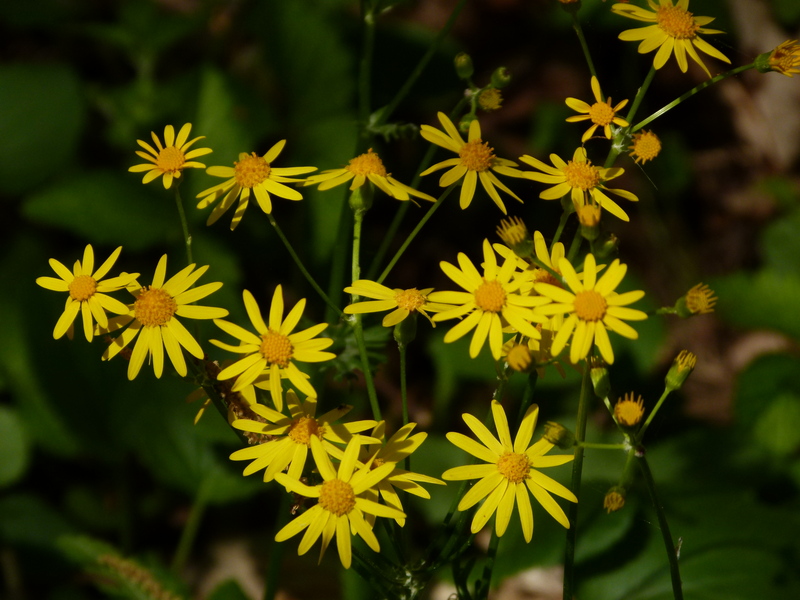 Golden ragwort (Packera aurea). Photo by S. Dingwell. 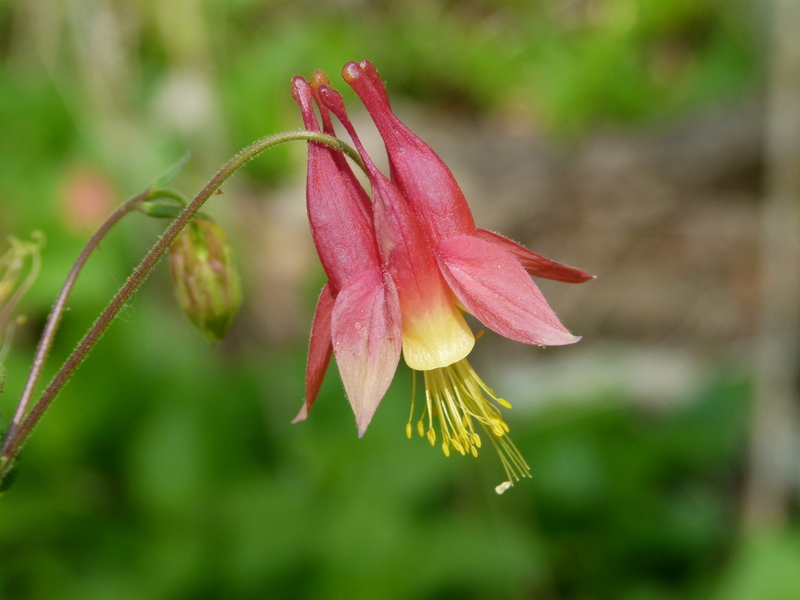 Columbine (Aquilegia canadensis). Photo by S. Dingwell. Columbines are plants I know well, both as garden inhabitants and as wild natives seen on hikes in California. Is there anyone who is not completely seduced by their delicate intricacy? Guess what? Native here in Virginia, too! Hurray! So my volunteer work enriched not only Long Branch with lots of sale plants, but my own store of knowledge and friendship as well. And, as one of our group members observed, for those who wish to work in quiet solitude when they volunteer, there are also oportunties for that! This entry was posted in Stewardship by armneditor. Bookmark the permalink.